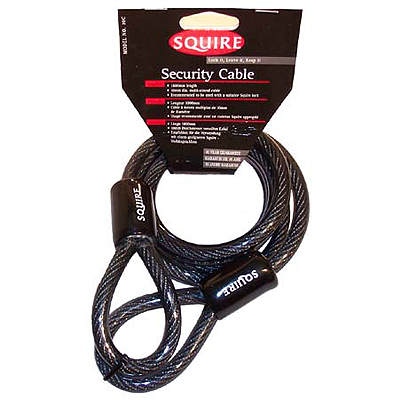 Squire Security cable. 1800mm long x 10mm Dia. Multi purpose, plastic coated weatherproof, for use with D-locks. 10 Year guarantee (normal useage).